The Situationist International (SI) has gone in and out of style for a number of decades. Nearly fifty years since the groups’ inception and against all odds, health they continue to have critical, sale political, ampoule and historical import for many disciplines, including art. They were even cited as an influence for the Occupy movement—no small achievement for a relatively obscure avant-garde group of pan-European cultural troublemakers. Recent years have also seen an increase in their popularity as an academic subject. However, the rising interests of academics in the Situationist project and the popularity of psycho-geographical explorations within the art world skirts uncomfortably close to a calcification of their legacy into an ideology that the Situationists would reject. Members of the SI were explicitly against an ideology of Situationism—one became a Situationist only through active engagement with the group, by creating situations. Despite this, a number of academics have become specialists on the Situationists—the writings, art, and practices of the Situationists are seen as prime material for study, especially in cultural studies, media, and art history. 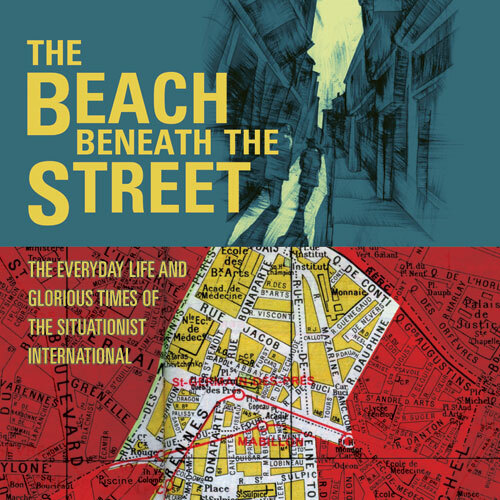 Ken Wark is one such academic and The Beach Beneath the Street is his second book on the Situationists. To his credit, Wark embraces the politics of their project, something that many other authors have tended to avoid. This contrasts with recent books like Tom Macdonough’s Situationists and the City, which focus more about the S.I.’s avant-garde aesthetics and their early writings on urbanism rather than their radical political legacy. >The Beach Beneath the Street succeeds most prominently by de-centering the SI. Most secondary materials on the SI have tended to focus on the contributions of key members and develop a narrative of their disintegrating interpersonal relationships. Guy Debord is almost always centralized as the figurehead—the hub through which all activity revolved. Indeed his role was crucial through his prolific output and rigid ideological positions; and Debord is always presented as the loudest voice in these studies. Wark wisely chooses to de-emphasize Debord in his book, framing his role as the group’s secretary (he was indeed the journal’s editor). This decision opens up all sorts of spaces for other, more marginalized figures like Constant Nieuwenhuys, René Viénet, Ivan Chelov and Jacquiline DeJong. and historical import for many disciplines, including art. They were even cited as an influence for the Occupy movement—no small achievement for a relatively obscure avant-garde group of pan-European cultural troublemakers. Recent years have also seen an increase in their popularity as an academic subject. However, the rising interests of academics in the Situationist project and the popularity of psycho-geographical explorations within the art world skirts uncomfortably close to a calcification of their legacy into an ideology that the Situationists would reject. Members of the SI were explicitly against an ideology of Situationism—one became a Situationist only through active engagement with the group, by creating situations. Despite this, a number of academics have become specialists on the Situationists—the writings, art, and practices of the Situationists are seen as prime material for study, especially in cultural studies, media, and art history. Ken Wark is one such academic and The Beach Beneath the Street is his second book on the Situationists. To his credit, Wark embraces the politics of their project, something that many other authors have tended to avoid. This contrasts with recent books like Tom Macdonough’s Situationists and the City, which focus more about the S.I.’s avant-garde aesthetics and their early writings on urbanism rather than their radical political legacy. Mitzi Pederson’s current exhibition at Ratio 3, Ciphers, is best situated within an ongoing tradition of post-minimalist sculpture—sculptural works formed with the barest and thinnest of materials to affect the viewer, challenge the object, and embrace the surrounding space. These types of works have emerged primarily in Europe over the past fifteen years with artists like Karla Black (Scotland), Ian Kiear (England), and Gedi Sibony (US) coming to mind. Ephemeral sculpture in this vein also derives from and alludes to some the works and philosophies of Gilberto Zorio and Arte Povera artists in the 1960’s. 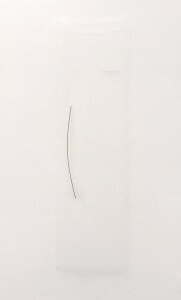 Using tulle, paint, sand, wood, glitter, and wire; Pederson casts a subtle screen over the walls of Ratio 3. There are a dozen pieces to Ciphers. Several are draped across wooden stretcher bars, while others just float from the wall defying gravity with apparent ease. 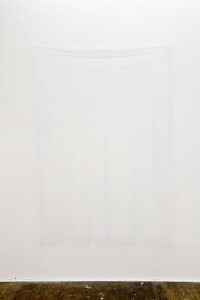 One of the works is simply a four foot piece of pale blue tulle rippled like a curtain. Other pieces contain subtle color shifts in the tulle cast by paint drops, sand and glitter applications, adding shadows and indeterminate depths to many of the pieces. Other pieces are punctured and tented by wood, disturbing the surface and hazily floating beyond the focus of the eye. Ephemerality of this sort is a difficult thing to capture, by its nature elusive and in equal parts there and not there. 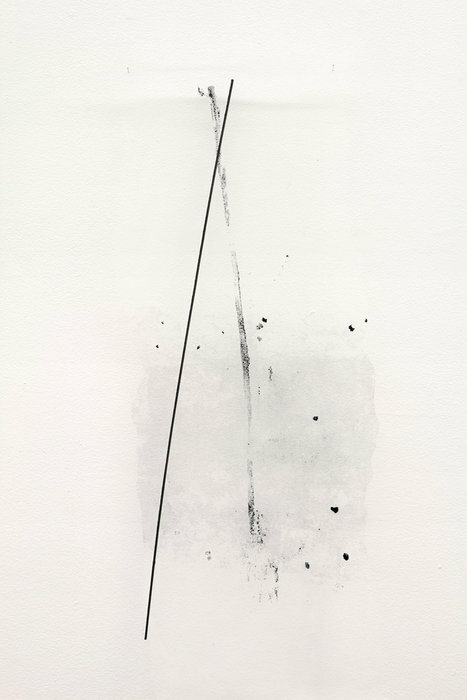 The effect of the works’ lightness is varied—certain pieces are spectral while others merely insubstantial. Like other artists working in this tradition, Pederson’s work tries to be responsive to space. The treatments and fold of the tulle are speaking to the paint drips and rippling of the floor. The installation at Ratio 3 challenges the work and the transparency of her pieces poses a challenge when the architectural space starts to dominate the work. 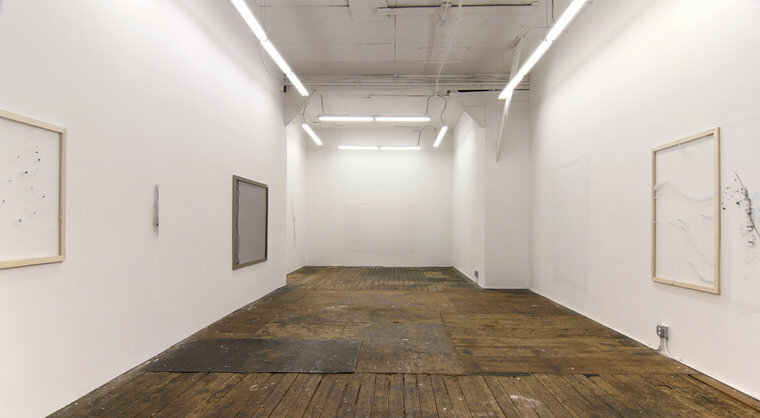 Whereas Karla Black has a consistent output, playful content, and varied scales and Kiaer’s work has a strong conceptual foundation, Pederson’s Ciphers is more defined by what it lacks. A cipher is a code-breakers term for characters that stand in place letters and numbers in the construction of secret passcodes. It was not necessarily clear what condition Ciphers was trying to create or interrogate. The exhibition is not exactly about the materials themselves or about drawing attention to the space, instead it becomes a vague commentary on the elusive nature of sculpture within the contemporary scene. Mitzi Pedersons’ Ciphers float in front of the eye, defying the forces of gravity, and darkness which is perhaps a statement of collusion with the ephemerality of the passing moment: timeless, weightless, suspended and contingent. all images courtesy of Ratio 3.